Author: Robinson, Peter Set In . . . 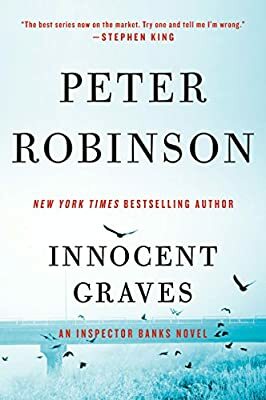 In New York Times bestselling and Edgar Award-winning author Peter Robinson’s brilliant thriller, Inspector Banks must solve the grisly murder of a beautiful teenage girl from a privileged family while uncovering the sordid lies that surround a village determined to keep its secrets hidden. A body is discovered in a graveyard—above ground. It is the sort of horrific crime Chief Inspector Alan Banks fled the city to escape. But the murder of a bright teenager from a wealthy, respected family is not the end of the nightmare. Lies, dark secrets, and sinister clues swirl around this killing like leaves in an autumn wind, leading to a shattering travesty of justice that will divide a suspicious community. Yet Banks must remain vigilant in his hunt—because when the devil is left free to pursue his terrible calling, more blood will surely flow. Electrifying and utterly addictive, Innocent Graves is one of Peter Robinson’s most chilling tales of suspense.